As usual, the phone is shipping in 1-2 business days. 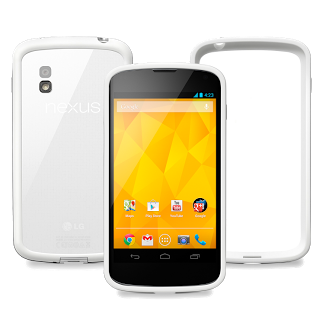 The 8GB white Nexus 4 is still there too, bumper and all, in case you want to save a bit of dough on its $299 price. (Watch out for that lack of expandable storage there, Mister Pennypincher.) There's no way of knowing how long either of them will stay in stock, but everyone who wants a white Nexus 4 bad enough to buy one (in the States, at least) should have the opportunity by now. Good hunting.